Children in Bristol are being offered a new way of getting active this summer thanks to the partnership between an Olympic gold medallist and local leisure provider. Everyone Active’s Horfield Leisure Centre is hosting Alex Danson Hockey Academy summer camps this August, with the aim of getting more young people active through the sport. The England Hockey captain has partnered with Everyone Active to design a programme of activity that helps participants to grow and develop. She has been personally involved in upskilling the coaches who will be delivering the sessions, ensuring children benefit from top-class training. A one-day camp will run at Horfield on Monday 20 th August, followed by a two-day camp on Wednesday 29 th – Thursday 30 th . Both will run from 10am – 3pm, giving participants the chance to take part in number of activities and matches. Everyone Active’s coaches will lead the fun and friendly sessions. They are designed to suit all abilities, but also provide opportunities for those with a flair for the sport to progress. The camps are open for children aged 7 – 13 years’ old. They form part of the Academy’s objective to get 10,000 children more active by playing hockey over the next three years. Alex Danson was part of Team GB’s Olympic gold medal-winning hockey team at Rio 2016. She is one of England and Great Britain’s greatest ever hockey players, and is captaining the England team at this year’s World Cup. She teamed up with Everyone Active after both parties recognised the lack of high-standard hockey provision available to children of primary school age. She said: “I am delighted to have teamed up with Everyone Active to give more young people the opportunity to play hockey. Its brilliant facilities offer scope to get children all over the country benefitting from the programme. 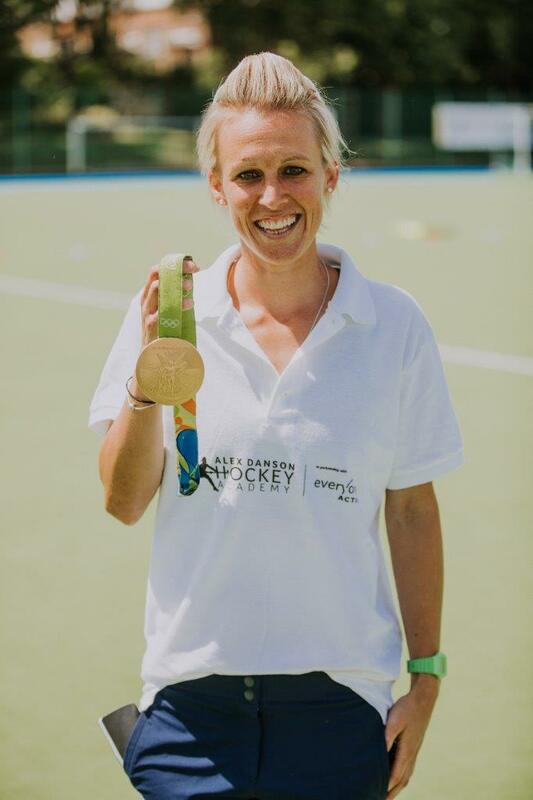 Everyone Active’s general manager, Cameron Bate, said: “It is fantastic to be hosting an Alex Danson Hockey Academy summer camp at the centre. We firmly believe in the benefits of playing sport at a young age and want to offer as many opportunities as possible for people to get active. “The partnership forms part of our major drive towards increasing sports participation levels. With hockey being enjoyed by both boys and girls, it also helps to bridge the gap between the amount of men and women playing sport, and tackle the declining rate of participation in girls as they enter their teens. For more information about the camps, or to book a place, call the centre on 0117 903 1643 or email hockey@everyoneactive.com.